If your baby suffered a cervical dystonia birth injury, you could have grounds for a medical malpractice lawsuit against your medical provider or one of his or her staff members. Cervical dystonia is a movement disorder in which your neck muscles involuntarily contract, causing your head to twist or move in different directions. This lifelong affliction can make it difficult to work or carry out daily living activities. Cervical dystonia has a number of potential causes—and sometimes occurs for no apparent reason at all. According to the Dystonia Medical Research Foundation, birth trauma is one possible cause of the condition. If your baby suffered a cervical dystonia birth injury, you could have grounds for a medical malpractice lawsuit against your doctor or one of his or her staff members. A cervical dystonia birth injury lawyer from Newsome Melton can help you pursue this lawsuit and recover damages. We offer a free case evaluation and do not collect a fee until you recover money. To speak with a member of our staff today, call us at 855-633-2757. While birth trauma can encompass a lot of things, we may be able to draw a link between your baby’s birth injury and the development of cervical dystonia if the injury involved trauma to the head, neck, or spine. The baby is large or there are multiple babies, resulting in slow movement through the birth canal. The birth canal is too small for the size of the baby, also resulting in a slow passage. The baby is positioned awkwardly during delivery. The delivery process is long and strenuous, creating the need for an assistance method such as forceps or a vacuum device. No matter what type of birth injury your baby suffered during the delivery process, the chance of a lasting injury can be diminished when the doctor recognizes what is happening, makes a timely and accurate diagnosis, and administers the appropriate treatment. If your baby suffered cervical dystonia as a result of birth trauma, we can investigate, gather evidence, and show how your doctor’s failure to uphold his or her standard of care caused or contributed to your child’s injury. We will then help you pursue damages in a medical malpractice lawsuit. To receive a free case evaluation with a member of the Newsome Melton team, call us today at 855-633-2757. If your baby suffered cervical dystonia because of birth trauma, you could have a strong medical malpractice claim against your doctor or a member of his or her staff. A cervical dystonia birth injury lawyer from Newsome Melton can help you pursue this claim and recover damages. You incurred damages because of your baby’s cervical dystonia. We first have to show that a healthcare provider, whether your doctor or a member of his or her staff, had a duty of care to you. All doctors have this duty to their patients, and so do their staff members, including nurses, nurse practitioners, physicians’ assistants, and lab technicians. Next, we must show that the person or persons we are alleging are responsible failed to uphold their duty of care to you. To demonstrate a failure of duty, we compare your provider’s actions to what one would expect from a reasonable person in the same situation. We can bring in medical expert witnesses to play the role of the reasonable person by reviewing the evidence and testifying about what they would have done. The next thing we must show is how the responsible party’s failure led to your baby suffering birth trauma, which caused your baby to develop cervical dystonia. We may need evidence such as your medical records, physicians’ statements, and expert witness testimony. The last task is to list the economic and non-economic damages you have suffered as a result of your child’s cervical dystonia. This gives us something tangible for which to pursue the responsible party or parties. For a free case evaluation with a cervical dystonia birth injury lawyer from Newsome Melton, call us today at 855-633-2757. 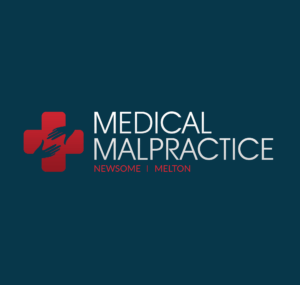 To learn more about how a Newsome Melton medical malpractice lawyer can help you recover these costs, call us today at 855-633-2757. Do not delay in taking action. Every state has a statute of limitations that establishes how much time you have to file a medical malpractice lawsuit for a birth injury. You do not want to let this deadline pass, as you could lose your eligibility to recover damages. We can file a quick lawsuit if we need to in order to stave off the statute of limitations. To speak with a member of our team today, call us at 855-633-2757. The cervical dystonia birth injury lawyers at Newsome Melton want to start working for you today. You can receive a free case evaluation with a member of our staff by calling 855-633-2757.